The Lady Scorpions took on sectional front runners Agua Fria, but unfortunately fell in a 3-6 defeat to the visiting Owls. Senior Rachel Burnett left her home court the final time in winning fashion with a 6-0, 6-0 drubbing over Aspen Charles. 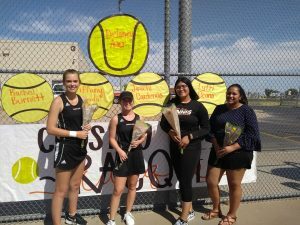 Desert Edge frosh Drucelle Pedrosa picked up her third win in a row and sixth overall varsity singles win this season with a victory over Lily Faustos-Gallegos. Pedrosa also won her doubles match with Kaylee Wininger. The Lady Scorpions travel to Kellis on Thursday before rapping up their season against Sierra Linda a week from today. Please take the time to thank the following seniors for their contribution this year. 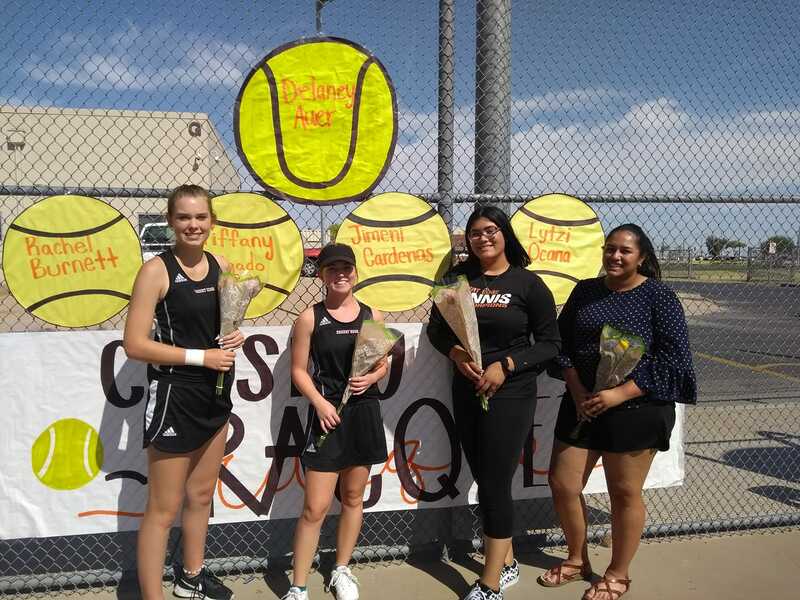 Delaney Auer, Rachel Burnett, Tiffany Delgado, Jimeni Cardenas and Lytzi Ocana.